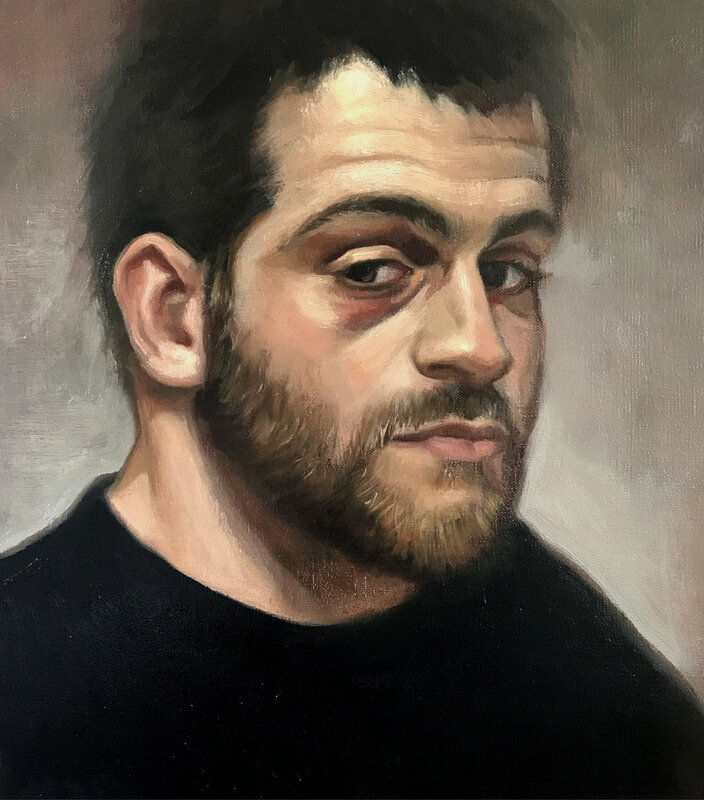 The works in this show are meant to represent an exploration of the mixed martial arts culture and its thematic relevance across time. 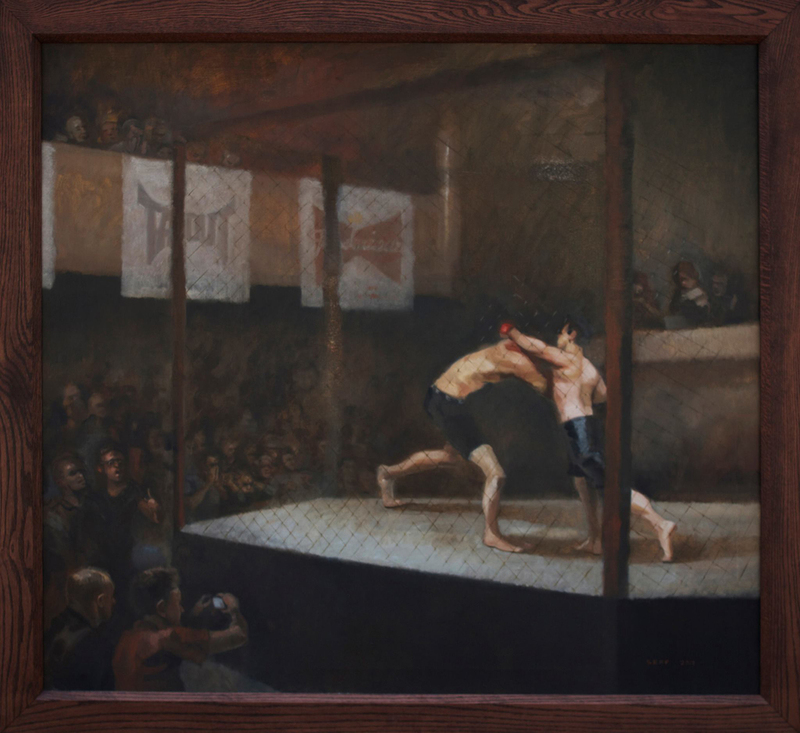 The ancient theme of combat as sport, is ubiquitous across history and time and has been participated in and represented by a vast array of cultures and art forms. 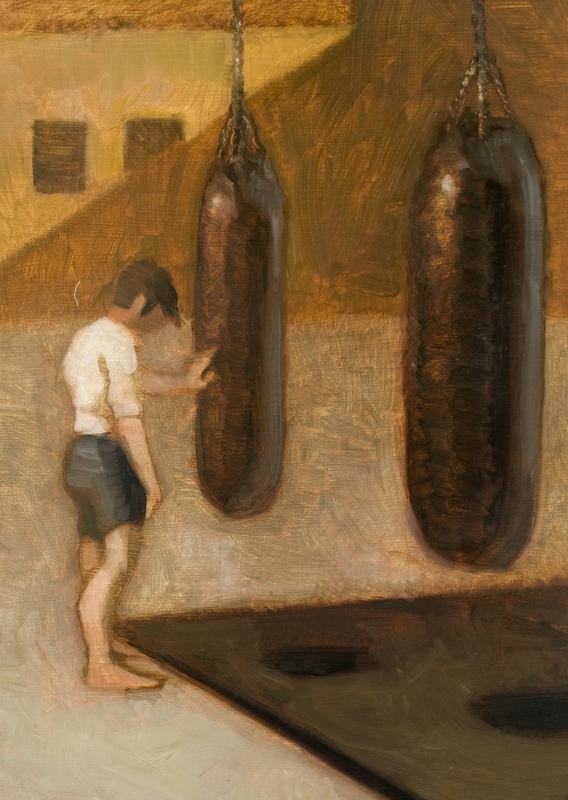 From the wrestlers appearing on ancient Greek vessels to the boxing paintings of the early 20th century, this subject has always found a place in art history and culture. 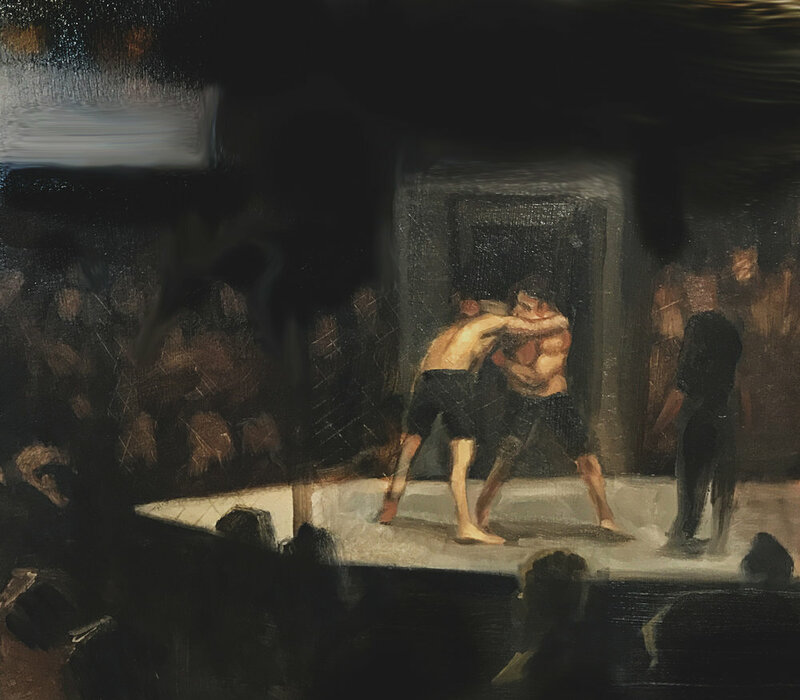 As a figurative artist, I have been drawn to the heroic nature of the form of the athlete while also being captivated by the narrative nature of the ring. At the same time, I recognize the sport as having a brutal aspect to it and an embracement of the spectacle. Mixed martial arts, in particular, is both a blood sport and a highly technical art form. I am attempting to display this dichotomy through the poetry of the brush and paint. It is through these poetic representations I can bring these scenes into a romantic realm that still does not mask the grit of the spectacle. 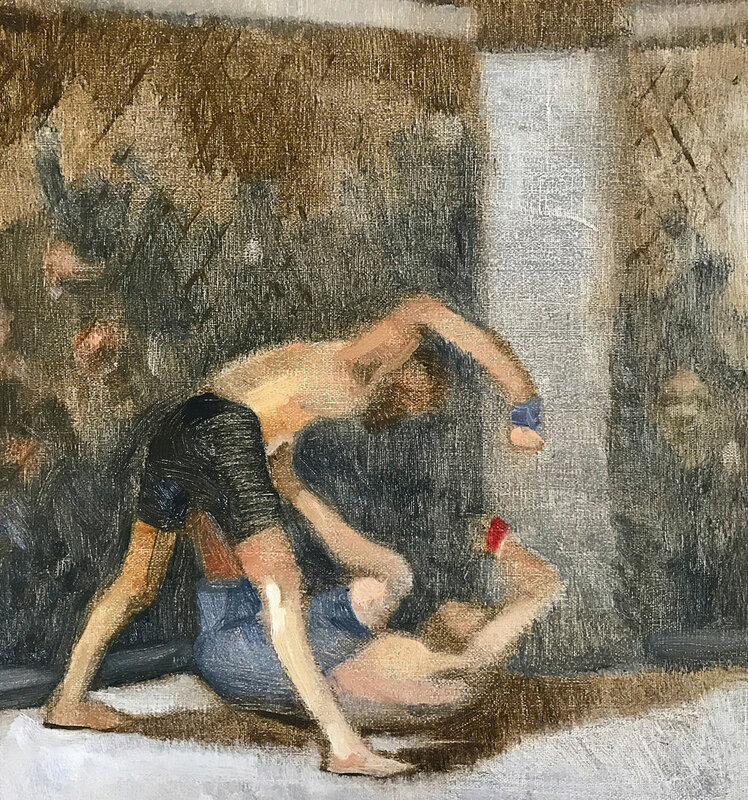 An added layer of tension is that all of these scenes are directly inspired by on-site drawings and studies of my triplet brother and sister who are both mixed martial arts fighters themselves. This highly personal connection to the fights created an internal dilemma of processing outward heart-wrenching scenes. The ancient theme crescendos as my two beloved siblings enter into the ring, onto the stage, and now in paint onto the canvas.